Dr James Won graduated from the University of Sydney with Bachelor of Dental Surgery in 1986. He married Dr Jeannie Won soon after graduation and they have worked together in general practices in Strathfield, Forbes and Canberra. 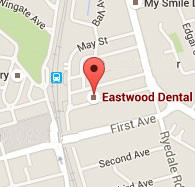 They moved back to Sydney and established Eastwood Dental in 2001. James has gained a wealth of experience and knowledge working in both rural and city practices and has been practicing exemplary dentistry for nearly 30 years. He has continued to update his knowledge and skills extensively, to ensure he provides his patients with the highest standard of dentistry. His patients value his thorough and gentle approach, trusting that they will always receive the best of dental care and advice. James enjoys the challenge of providing gentle, empathetic care to anxious patients, whether young or mature-aged, and is rewarded by a loyal and appreciative patient following. In his spare time, he enjoys playing golf, tennis and skiing. In particular, he loves travelling with Jeannie and their two daughters. Areas of interest: cosmetic dentistry, implant dentistry, endodontic dentistry (root canal therapy), oral surgery and complex restorative dentistry. Dr Jeannie Won has accumulated many years of general dentistry experience with her husband Dr James Won, since graduating in 1986 from University of Sydney. Jeannie’s gentle approach and a strong emphasis on prevention have helped many nervous patients overcome their fear of dental treatment and years of neglect to regain their optimal oral health. Her aim is to encourage her patients take control of their own dental health through education and motivation. Helping people achieve healthy gums and teeth with a happy smile is what makes being a dentist satisfying for Jeannie. Dr Won is committed to continuing education, not only in dentistry, but all aspects of life. Outside of dentistry, Jeannie enjoys relaxing with friends and family. She enjoys bush walking and travelling. Dr Jane Na graduated from the University of Melbourne in 2007. Since then, she has been practising as a general dentist in private clinics, thoroughly enjoying all aspects of dentistry and treating patients of all ages. Throughout the years, Jane has undergone extensive training and completed many courses in all fields of dentistry in order to provide her patients with the best quality dentistry. Her main interests lie in aesthetic and restorative dentistry, periodontics as well as minor oral surgery. Jane personalises every patient's needs and wants for healthy and beautiful teeth every time. Jane also has a passion for voluntary dental aid and has travelled to Nepal and Papua New Guinea to help those in need of dental care and hopes to do more in the future. Fluent in both English and Korean, Jane's warm and gentle care will provide you with a pleasant and relaxed dental experience, along with excellent dentistry. Dr Eunbi Park graduated from Griffith University and has a special interest in paediatric (children's) dentistry, preventative dentistry and cosmetic dentistry. After years of training and treating patients, she feels confident in providing extensive dental treatment to all patients. Since graduation, she has dedicated herself to continuing her professional development, and has attended many dental courses and conferences to extend her studies. Her current passion is in pursuing orthodontics. Dr Park has a warm and caring nature which allows patients to confidently enjoy a relaxing and thorough dental treatment. She is trusted and respected by patients of all ages as she is always compassionate and professional. Amy is the receptionist and practice manager who oversees patient and staff management, along with the administrative side of the surgery. Amy has been a valuable and influential part of the practice for over 12 years. She understands the anxiety that may accompany the dental visits and is able to assure and comfort nervous patients, putting them at ease right from the very first moment they walk through the door. Feel free to get in touch with Amy on (02) 9874 9900 at anytime should you require further information on Eastwood Dental.